With all the controversy, trollings and pryings that follow socialite Vera Sidika, she has always opted to keeping her family members away from her social media. 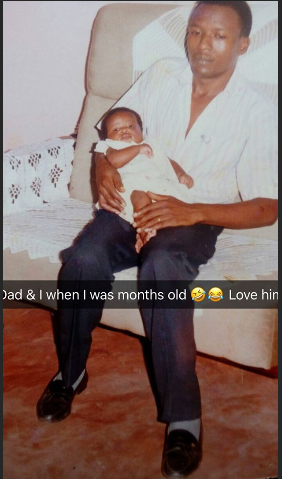 Though the socialite has shared a few images of her mum, Vera has shared very few photos with her dad and many Kenyans have been dying to see him. She was recently on Instagram to share some TBT photos and shared one with his dad. She was barely an year old when they took the picture.